Gooding & Company announced that it sold a 1936 Bugatti Type 57SC Atlantic via private treaty sale, on behalf of the Trust that formerly owned the Atlantic. Buyer and terms were not disclosed, but the Wall Street Journal is reporting that the Mullin Automotive Museum in Oxnard, California purchased the Bugatti for $30 million to $40 million, making the Bugatti the most expensive car in the world. 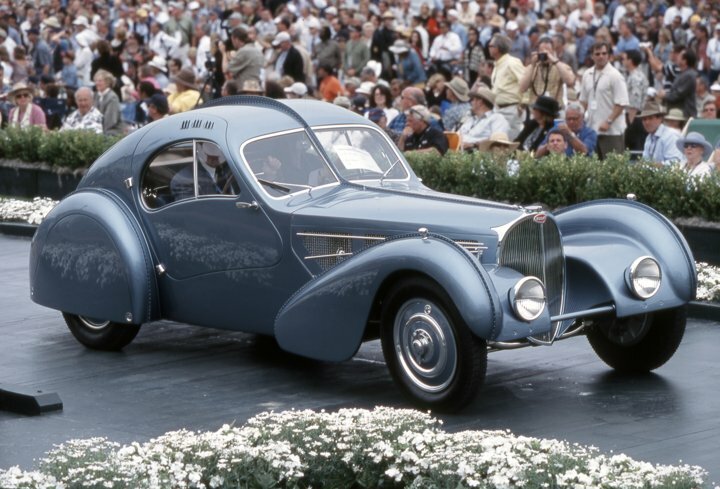 Formerly the coveted pillar of the world renowned Williamson Bugatti Collection, the Atlantic was awarded Best of Show at the 2003 Pebble Beach Concours d’Elegance. It is one of two completely original Type 57SC Atlantics in existence, with the other owned by Ralph Lauren. The Atlantic was an automobile derived from Bugatti’s prototype Aerolithe Electron Coupé that caused a sensation when it was unveiled at the 1935 Paris Auto Salon. Bugatti later built just three Atlantics, each one different from the next, but this 1936 car (chassis #57374) is the first in the series and its historical significance, originality and restoration has been revered by enthusiasts throughout the world. Update May 6, 2010: Mullin Automotive Museum released a statement denying they are the buyer of the 1936 Bugatti Type 57SC Atlantic, suggesting there has been, “a transposition of information based upon a private conversation that the museum had with the buyer.” Mullin also said they’ve been in contact with the buyer about displaying the Atlantic, on a limited basis, later this year. How can we get a copy of the photo suitable for framing? ?